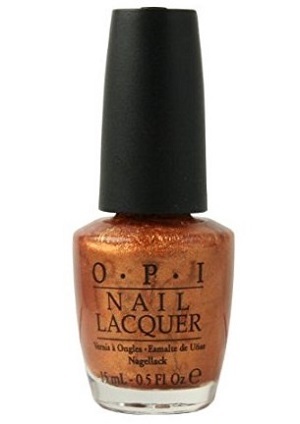 OPI Nail Polish, Rising Star, HLB09, .50 fl. oz. Metallic golden copper shimmer nail color with a foil finish.